TWIN FALLS, Idaho – A Texas motorcycle daredevil says he’s calling off plans to try to recreate Evel Knievel’s failed motorcycle leap across the Snake River Canyon next month – but Idaho’s schools will get to keep about $1 million he’s spent so far on the bid, and another group still plans a jump. Beckley paid the state of Idaho $943,000 last fall – nonrefundable – after a hotly contested auction for rights to use state endowment property for a landing site for the jump. He also paid $25,000 for the first of two annual lease payments; the money went to the state’s permanent endowment, which benefits Idaho’s public schools. The state Department of Lands reported Monday that his lease is “in good standing,” and his second annual rent payment isn’t due until Nov. 1. Rival Hollywood stuntman Eddie Braun says he still plans an attempt to jump the canyon Sept. 7. 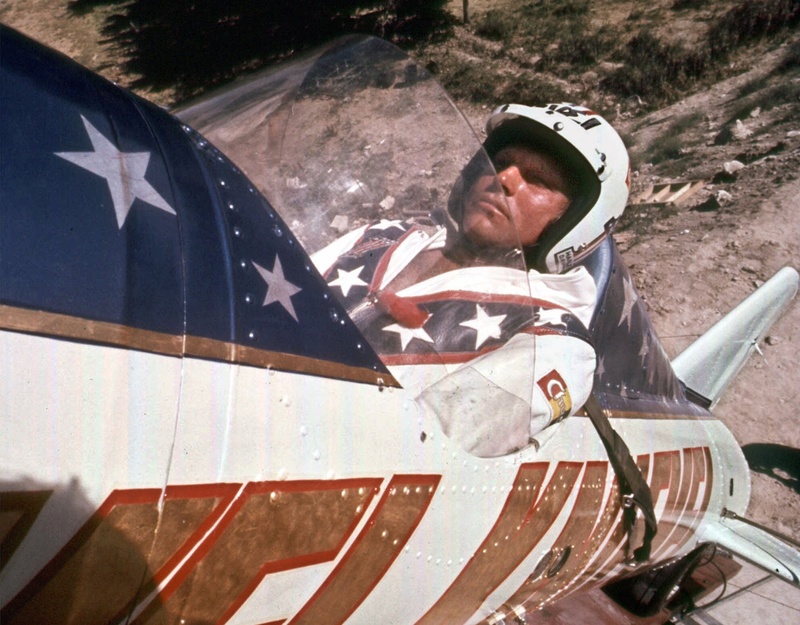 Braun and rocket builder Scott Truax, son of Knievel’s rocket designer Bob Truax, told the Twin Falls Times-News their rocket is under construction for the stunt, timed to coincide roughly with the 40th anniversary of Knievel’s attempt. Members of that group were among those unsuccessfully bidding against Beckley at the state auction; they subsequently identified other nearby private property for their jump attempt. Knievel’s 1974 attempt to jump the Snake River Canyon fell short; he drifted with the aid of a parachute to the bottom of the deep canyon and escaped with minor injuries. The much-heralded event drew a rowdy crowd of spectators and left behind a rash of unpaid bills.